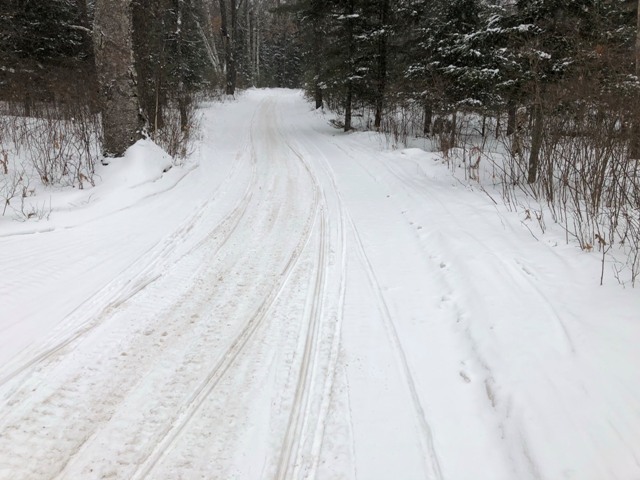 I headed out for a ride hitting some St. Germain, Eagle River, Lake Tomahawk, Sugar Camp and Sayner trails. 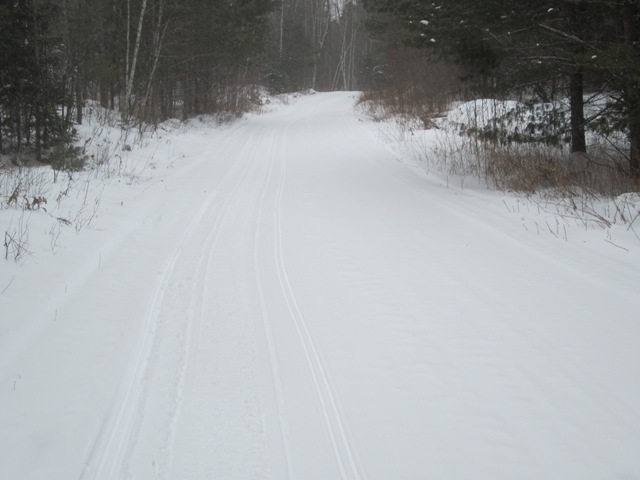 All the trails I rode had been groomed recently. We got about 3/4 inch of snow this morning. 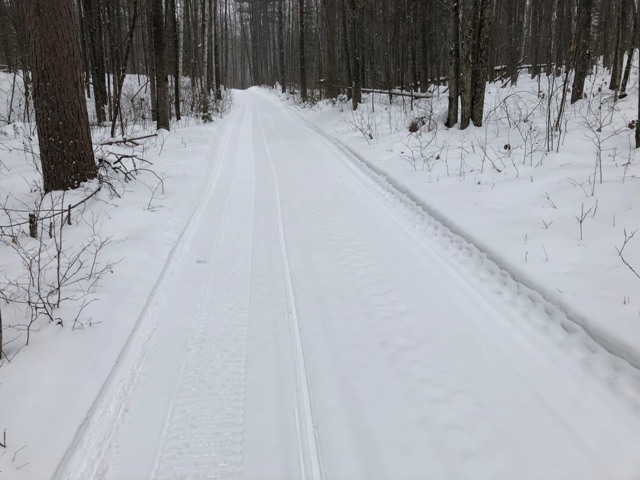 Trails had a softer feel to them today, even with the cold temps we’ve had. Trails were pretty smooth, just a little chop on some of them. I’m keeping the trails as an overall fair/good rating. You’ll see everything from a few poor spots up to some excellent areas, but most will fall into the fair or good categories. One area to watch out for is icy corners. There are a lot of them out there – even with sharp carbides, I was pushing through some. 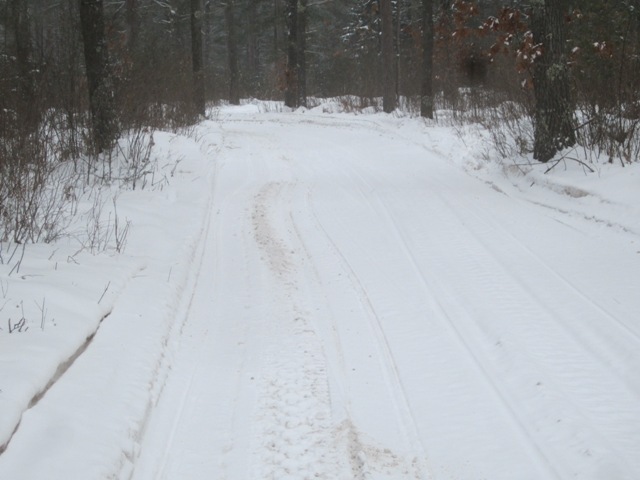 I’m starting to see more snirt in areas while other trails are mostly to all white. The carbides did scrape in spots – mainly on the insides of corners. I did ride some beautiful stretches that made me want to ride all day. 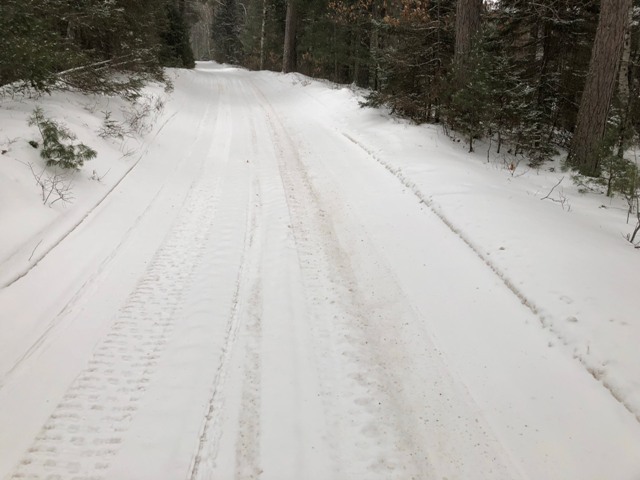 Most plowed road trails have an ice base with little snow on them. There are some spots where there’s a little bare pavement. Some lakes are nice and smooth while others have had some drifting so are bumpy. It’s nice to see the snow – just wish there was more. 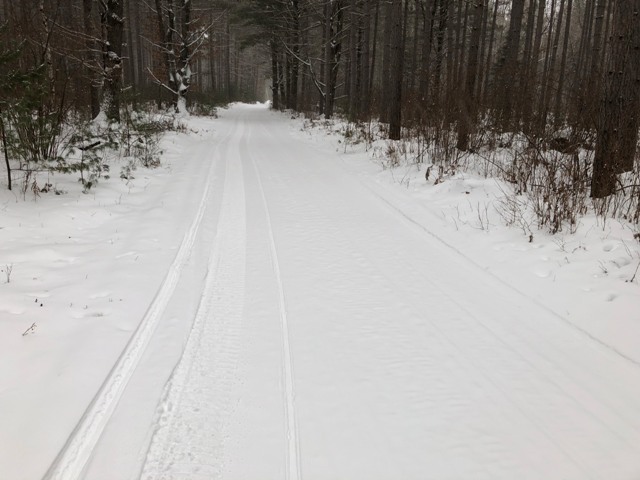 Any snow we get is great and gives the groomers more to work with.